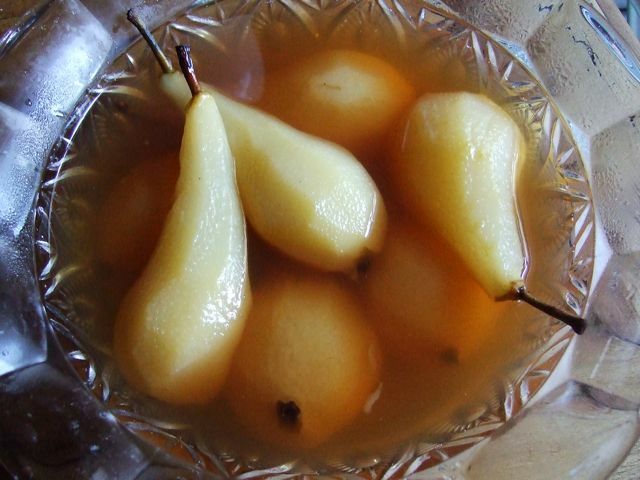 I couldn't agree more with your thought that pears are nicer in cider than in red wine. Since the first time I used cider I have never gone back to red wine. Cider is more subtle. Try them with a touch of cardamom. Ooo, goodness that would be good. Or with cardamom spiked rice pudding . . . I think this is a great idea and would the pears with some stem ginger ice cream! I have always wanted to make these and now am going to! This recipe looks easy enough for even me. Haha. Thanks.